Mark and Nancy have experienced some extreme life adventures. For example, Mark is a talented water skier and snow adventurer. Nancy is passionate about horses and riding. Their son, Brandon shared his parents love for outdoor sports, animals and the mountains. Tragically, Brandon struggled with depression and took his own life in 2010 at the age of 28. Despite their deep sorrow, Brandon’s parents are carrying on their son’s legacy by finding ways to celebrate things Brandon celebrated and sharing his love for people by serving others with the love of Jesus. 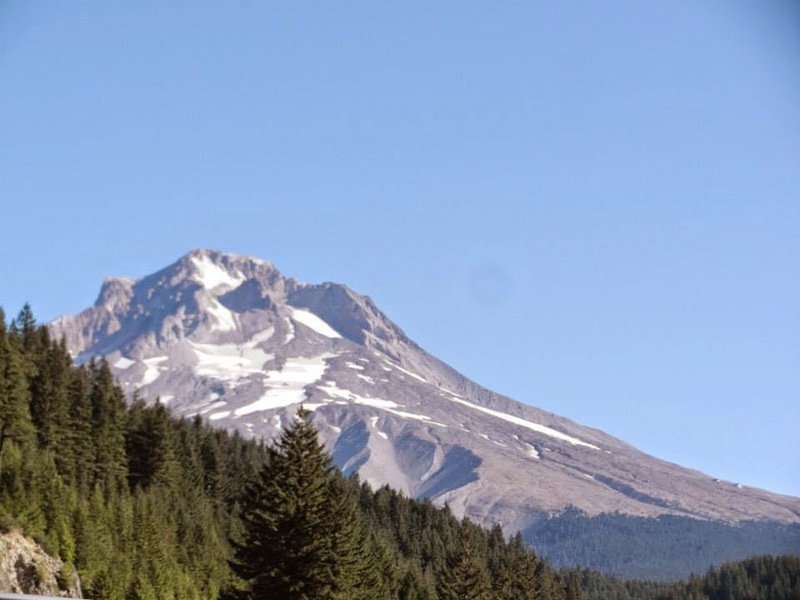 Mark and Nancy recently visited Mount Hood to scatter Brandon’s ashes. While there, they had a beautifully unexpected encounter with the Living God. We’re humbled that they are willing to bravely, vulnerably and joyfully share about it here so that others might be encouraged in the truth that God is near, powerful and good. Our group gathered at the entrance of Timberline Lodge just before noon to commence up Mount Hood. Brandon’s friend, Adam, and three of Mark’s cousins joined us. Prior to our arrival, Mark’s cousin Nels had kindly taken on the responsibility of arranging logistics for our mission to scatter Brandon’s ashes on top of Mount Hood. He accomplished this by going straight to the top and discussing our intentions with the president of the ski resort (whom Nels happens to know). As it turned out, an experienced mountain transport person, Logan, was assigned to get our group (along with our precious cargo) “as far up the mountain as was reasonable” (per the resort president). When our group gathered in front of the lodge, Logan showed up promptly in an older Suburban and loaded the six of us into the truck. We started our ascent up the rocky, barren, dusty and steep path. This was like driving around your block to Logan who was nonchalantly chatting with us as he careened around large boulders and near steep cliffs. The rest of us were not so relaxed and hanging on for the adventure, which felt like you were in a Jeep commercial! At 7,000 feet, Logan had taken us as far as we could go on four wheels because the next leg of the climb was almost vertical and involved icy snow patches. At this point, our group was escorted into the resort’s largest snow Cat (used on ski slopes to groom the trails). We were all in for the extreme ride of our lives. Again, Logan skillfully got us to our destination. We were on the top of Palmer Run, 8,500 feet up Mount Hood. We almost could have touched the clouds, if there had been any. But it was sunny, blue and about 55 warm degrees up there! We felt God’s hand upon the weather, the gentle caressing breeze and our journey to stand atop this mountain. During our ceremony on a ledge of Palmer Run, Mark read a devotional. Then I prayed, thanking God for giving us Brandon for 28 years. We asked God for His help to continue releasing Brandon back to Him, “ashes to ashes, dust to dust” as the mountain breeze took the ashes. There was a heartfelt group embrace and then we all noticed a raven as we dispersed from that ledge. The bird had suddenly flown to where we had been standing and it walked around for a few moments in the snow of Palmer Run and then flew to perch on the nearest chairlift. 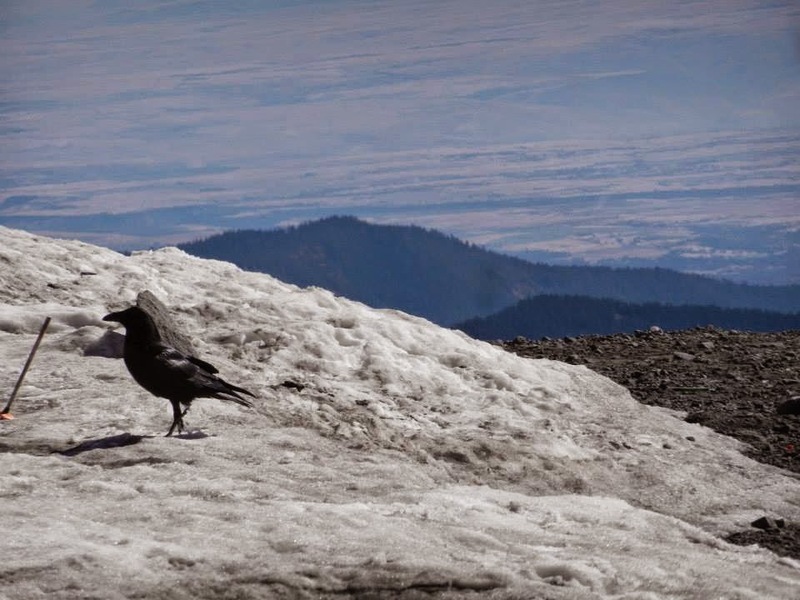 When we returned to the Cat where Logan had been respectfully waiting, he mentioned the raven and how they are so rarely seen on the upper part of the mountain. God’s presence seemed to have been revealed again as that raven appeared on our sacred ground. Mark & I waved goodbye as we stood in shock. We were filled with gratitude and tears slowly streamed. God saw to it that our hearts were mended a little more that day from having to say goodbye to Brandon that February day a few years ago. We are so thankful for our friends and prayer warriors who have helped us through this adventure — both the trip to Mount Hood and our continued adventure called Life. Note: The subject of suicide is complicated. Four Brief Theses on Suicide offers a helpful reflection on the subject. If you are in a suicide crisis, call SAVE’s (Suicide Awareness Voice of Education) national suicide prevention lifeline at 1-800-273-8255. Focus on the Family Help Center counselors are available Monday through Friday between 6:00 am and 8:00 pm (Mountain Time) to provide guidance and resources. You can arrange to speak with a licensed Christian counselor at no cost by calling 1-855-771-HELP (4357).